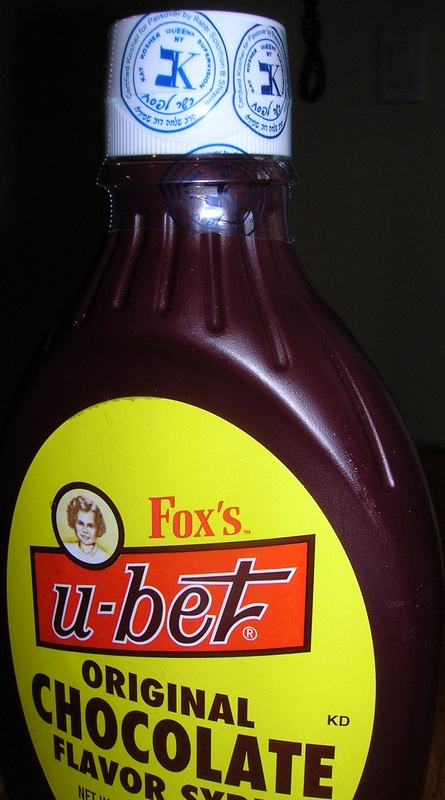 In order to get the closest thing to egg cream flavor from back in the “old days”, before corn syrup replaced the use of pure cane sugar, you have to buy your U-Bet chocolate syrup now, during the Passover season. Kosher for Passover foods are more strict than any other time of year, and corn or corn products are not Kosher for Passover. So, we get to reap the benefits that our Jewish brothers and sisters have bestowed upon us Goyim and Gentile….real sugar in our Fox’s Chocolate syrup. Growing up in Brooklyn in a neighborhood close to Borough Park, one of the largest Jewish Orthodox communities outside of Israel, had other advantages as well. My neighborhood of Bensonhurst was largely Italian and Christian. Most, if not all stores were closed on Sunday. In Borough Park, the Jewish community observed their Sabbath on Saturday, closing on that day and opening up on Sunday. It was a perfect relationship. If we needed to buy anything on Sunday all we had to do was go to Borough Park. I’m not sure if they came into our neighborhood on Saturday for the same purpose. They probably observed their Sabbath a little more orthodox than we did in Bensonhurst. But, that is the way things worked in Brooklyn. The way to tell if the bottle of U-bet chocolate syrup at your store is the right one for Passover is by the shrink-wrap plastic safety seal on the bottle cap. It will have the Hebrew symbol and words ” Certified Kosher for Passover” written on it. Take advantage of the season and pick up a couple. For those of you who missed my posting on October 2, 2011, on making the perfect egg cream, you can find it here. This entry was posted in Drinks and tagged egg cream, Fox's u-bet, New York egg cream. Bookmark the permalink. Marianna, have you ever had an ice cream soda? Well, an egg cream is an ice cream soda with out the ice cream….more or less.